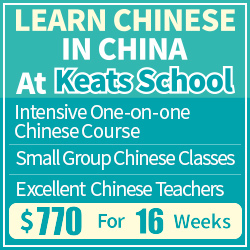 In a world with perfect teachers and education systems, you wouldn’t need to care too much about how to learn Chinese. You wouldn’t need to take so many decisions about how to learn and even less about what to learn. The curriculum would be designed and executed in such a way that it made sure that you learnt everything you need to master Chinese. You could just do what was required of you and expect that to be enough. Unfortunately, as we all know, this world isn’t perfect and Chinese language education is in fact very far from being even adequate. This is not only true for Chinese courses in your home country, it’s also true for schools in the Chinese-speaking world. Sure, there are schools that are really good and teachers that do their job well, but there are also lousy institutions and teachers who mostly teach because Chinese happens to be their native language, rather than because they have a passion for teaching and possess the necessary skills. Even in a very favourable situation, it’s unlikely that a teacher or course will provide you with what you want. You need to take control of your own studying. This is partly why I think learning how to learn is essential for all adult students, not only those that are ambitious and like experimentation. Even though I realise that you as a reader of Hacking Chinese are probably more motivated and ambitious than the average learner, I do think and hope that what I write will spread to all students eventually. The ability to learn on your own isn’t something you need only if you have no teacher and no course. Instead, it’s a core ability that will determine your success in learning Chinese. In other words, take responsibility for your own learning now! This is usually translated as: “Give a man a fish and you feed him for a day. Teach a man to fish and you feed him for a lifetime.” If you take a course, your teacher will provide you with lots of fish and you won’t starve to death. 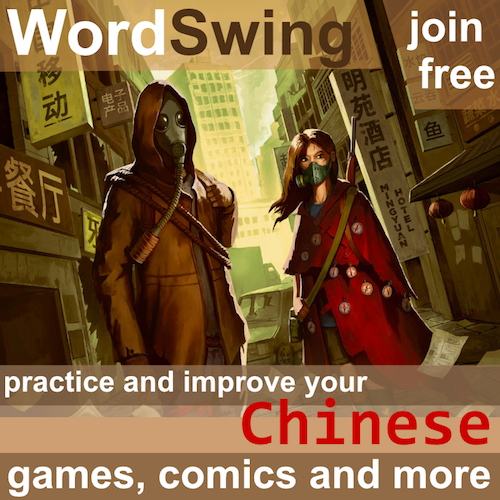 If you read Hacking Chinese and apply what I write here on the other hand, you will gradually learn how to fish. In other words, if you have an excellent teacher who can drip-feed you fish (yuck! ), you actually don’t need Hacking Chinese. However, since most people can neither afford nor find a teacher who caters to their every need, most people still need to learn how to fish. You can of course just try to find other people to help you with every single problem you encounter, but it’s much better to acquire the ability to help yourself; it’s going to take you much farther and puts you firmly in the driver’s seat of your language learning journey. 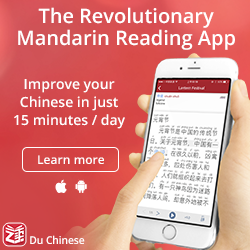 It ought to be obvious why most students have to rely on themselves to learn Chinese. In a classroom, the teacher doesn’t have time to do everything. Even in very serious language programs, there are seldom more than a few hours of lessons everyday. If the students are ambitious, the teacher can focus most of the classroom time on things that actually need a teacher (such as improving speaking ability) and avoid things that don’t. These are things you could (and should) do on your own. If these areas are covered in class, the problem is that students might get the impression that they are already doing enough and that the teacher is providing them with everything they need. This is wrong. There’s simply no teacher or program that can provide you with everything you need. Not only are you responsibly for your own learning, you’re also the only one who has the potential to really understand your own situation. The reason it’s not true that you can simply rely on your teacher or course is that it’s almost certain that they won’t provide you with enough Chinese in terms of quantity. You don’t necessarily need to study more, but you definitely need to expose yourself much more to Chinese in order to get used to it. To a certain extent, learning a language is about understanding rules and patterns, but this is completely useless if you don’t combine it with a lot of exposure to the surface forms. Knowing a grammar rule is only truly useful when you can understand it in context and that requires lots of meaningful exposure. Obviously, you need quality as well, but in my experience, students don’t really lack this aspect since it is what most textbooks and teachers already provide. Most students lack quantity. This is particularly true for listening and reading, which will eventually spill over into speaking and writing as well. The reason quantity is so important for the passive skills is that it’s not only a matter of if you understand or not (binary), but also how fast you can do it. It doesn’t help that you know the meaning of all the words in a spoken passage if it takes you a second to recall each and everyone of them, because you’ll lag so far behind the speaker that you will become lost almost immediately. 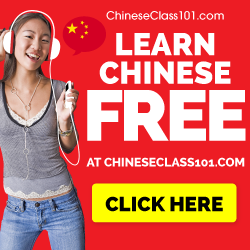 Because most courses can’t provide enough exposure, it means that you will be on your own most of the time, even if you’re enrolled in a serious Chinese language program. The better your teacher is, the more support you will have, but very few teachers have the time, ability and willingness to feed you fish all day long, even if you have the money to pay them for doing so. Learning to fish yourself is the only way. The rest is about adjusting the methods to your goals and evaluate your progress, then tweaking or reconsidering your method based on the outcome of the evaluation. This is the start of a never-ending and fascinating journey in the the soul of language learning! I think it’s not just learning how to learn, but also learning what is best suited to your own mind. Some people think that they need to focus on all four skills equally. Other people find if they focus on one thing (usually listening or speaking) they make much faster improvement than trying to do four skills equally. Yes, I agree! I tend to include this in “how to study”. I.e., it’s not just about methodology, but what you’re after and how you go about it, too. Totally agreed on this one, Olle. I also like the ‘sharpening the saw’ analogy for this idea. Was that saying about the fish originally Chinese, or is that a Chinese translation of it from another language? I hadn’t realised it was originally Chinese. It seems to be one of these that are attributed to 老子 but (as far as I can tell) doesn’t actually appear in 道德經. There also seems to be Western versions of the same saying (quite likely to pop up, it’s not very far fetched), see here. The saying is pretty common in Chinese anyway. If you find anything else about its origins, do let me know! Of course there is the alternative. If you give a man a fish, he may be back tomorrow willing to work for another. 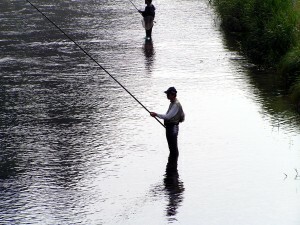 If you teach a man to fish, you lost the customer and now have a competion. Either way, I don’t think fish have much to do with language learning. Teaching a man to communicate will not fill his belly or take away from your livelihood. And likely as not, the learner might actually learn faster on one’s own. Second language teaching can be pedantic and limiting. So much for all the fishy-ness. Language learning is endless and endlessly rewarding. One never stops acquiring more knowledge of their native language or any 2nd language. Enjoy the ride… insights abound.